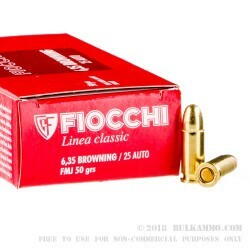 A very good deal on a straightforward 25 ACP/Auto ammunition by a maker that has truly stepped up their game to cater to the American shooting market and who has improved their offering from an already spectacular portfolio. This is a fine round for the 6.35 Browning/.25 Auto (simple naming differences from Europe to the North America) that offers good performance and a lot of shooting, thanks to the massive 1000 round case lot at a steal of a price. The .25 Auto has received a lot of flak over the years for being underpowered, but for the purposes it generally serves it’s a really nice cartridge for just about all angles. It’s lightweight and the recoil is virtually non-existent. It’s fun to shoot and has a centerfire cartridge case that gives a fast powder burn and eliminates nearly all fouling and powder residue. 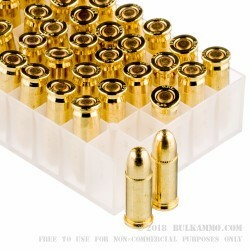 It offers a larger diameter than the next closest competition (the .22LR). It also is easier to load, and easier to control and make follow up shots with. It’s a great purse gun or leg holster backup weapon. Yes, it will not compete with a .380, but it isn’t trying to, and for every piece of negative feedback by “serious” shooters, there are probably 2 stories about the enjoyment that a .25 Auto offers to shoot at the range, and how it saved someone’s life, when they didn’t have a bigger gun around. It’s a truly historic and fun cartridge to shoot. 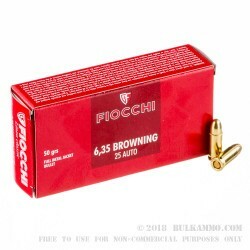 Fiocchi is doing it great justice to provide this reasonably hot round for the caliber. pure lead for mushrooming! Penetration full metal jacket! You have to be close! But it is effective! Do not count on one round! Very easy to control! Full metal jacket never fails! Lead rounds penetrate deeper and mushroom, than hollow points. Hollow points come apart! Full metal jacket all around best! Fiocchi Brass is very thick! Great to reload! And put more power in! If your pistol is strong enough. 18,000 c.u.p USA? 17400psi 120 MPi European there is a small amount of wiggle room. 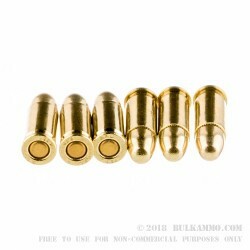 ; 32 ACP 15,000c.u.p. 20,500 PSI USA? Eurpoean loads 23,200 PS I 160MPa. Compared to the 44 special at 15,500 PSI USA?